As has been the story of my life the past month or so- I’ve been pretty swamped with work. It’s actually been a really good thing and I’m absolutely loving my new job. That doesn’t change the fact that it’s been pretty busy lately though, leaving little time for other things. And while I don’t like to mix work with pleasure, I’m happy to announce that the project I’ve been slaving over is finally public!! If you’re interested in knowing more, check out The Future of Real Estate to see what I’ve been up to! Okay enough of that …. Considering I haven’t had much time to focus on much anything else than the launch of this new series, I’m incredibly thankful that Mike swept in once again and saved the day. You might remember Mike from a few months back when he wrote a One Day in Guide for his hometown of Wells in England! Today, he’s talking about a place a hop, skip and a large leap across the globe over in Southeast Asia! Hi, I’m Mike, and I’m currently living life as a “Digital Nomad”. When I’m not carrying around my backpack – I’m helping out these guys! 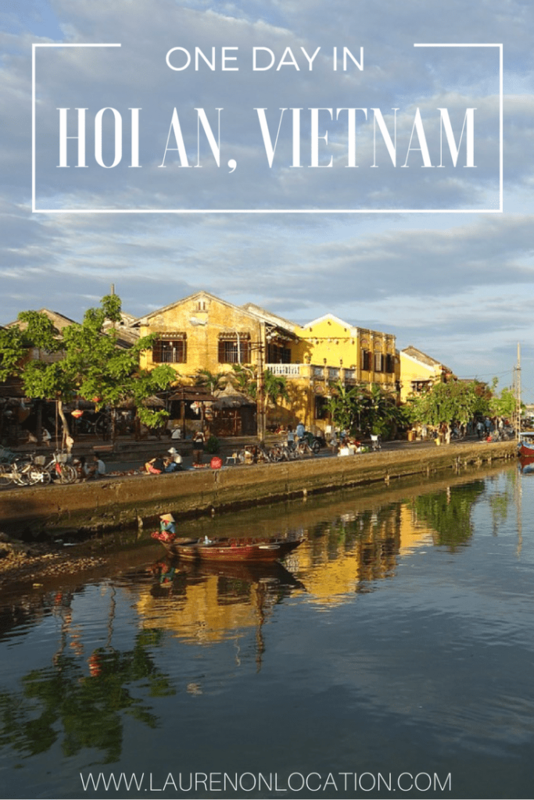 The kind Lauren at Lauren On Location has let me share my tips on Hoi An with you today. I hope you like them! You have a day in Hoi An. Lucky you! 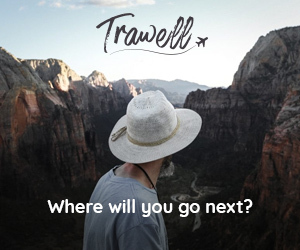 Unfortunately, planning what to do can be pretty overwhelming – because this little city is bursting with endless options of things to do and see. To keep your stress levels low (you are on holiday after all! ), I’ve come up with a fun and full day out. From chilling on the beach to savoring the food, art and history of the charming Old Town, it’s definitely a day to remember! If you’re an early riser, the sunrises of Hoi An are likely to make your jaw drop. Start your day in a memorable way with a sunrise by the sea. Feeling active? Pop into the beginner’s yoga class by Nomad Yoga on the beach. 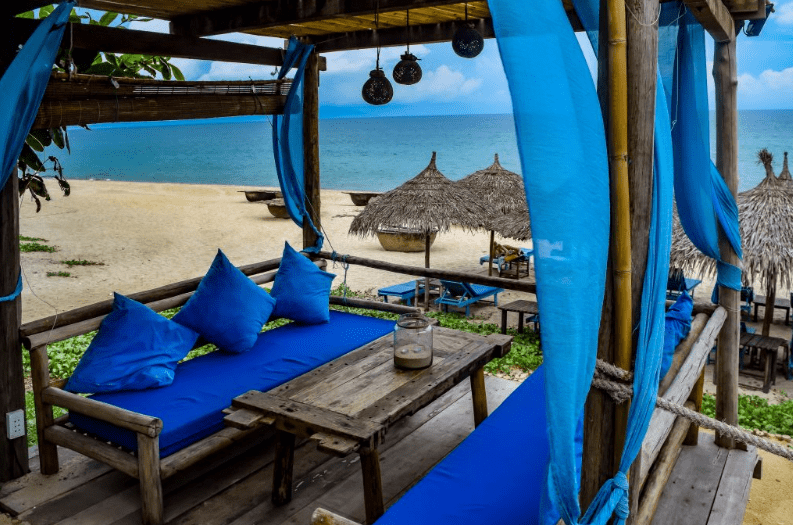 Held at Luna d’Auttuno and hosted by experienced yoga instructors from around the world, it’ll energize and invigorate you for your day in Hoi An. Head back to your hotel and freshen up. Grab a juice and you’re good to go! Next, it’s time to hit the Ancient Town. Take your time as you stroll through the streets, soaking up the history and the beauty that permeates every butter-yellow wall. Speaking of butter, by now you’re probably fairly hungry…time for breakfast! Head to Cargo Club for one of the best breakfasts in town. Sit out front for a view of the beautiful Thu Bon River. Enjoy a feast of Eggs Benedict – their hollandaise sauce is delicious – as you watch boats and street vendors drift by. After breakfast, it’s time for a little relaxation – which you can find right in front of you. Take one of the many boats out of the harbour for a 20-minute tour of Hoi An’s waterways. Float lazily down the river and enjoy seeing the Ancient Town from a new perspective. 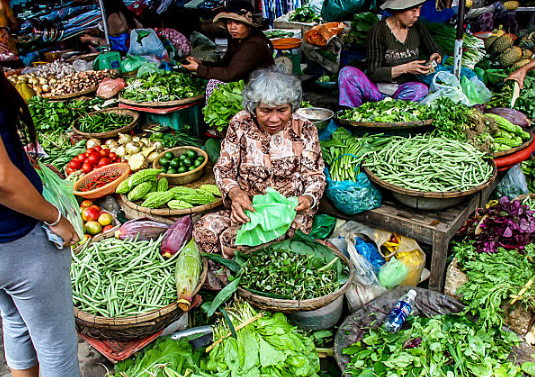 After you return to dry land, head down the street to see what the bustling Central Market has to offer. A destination for locals to get anything and everything, plus for visitors to get clothes tailored, shoes custom-made or souvenirs collected, the Central Market is a historic trading site and a must-see activity. It’s coffee o’clock again – this time, you’re on the hunt for your first Ca Phe Sua Da, a traditional Vietnamese-style coffee served with condensed milk over ice. Just the refresher you need. Finding it won’t be a problem in the Old Town – after all, the coffee scene in Hoi An is booming. If you’re looking for a bustling and authentic experience, Bo Bo Cafe is an excellent stop. Alternatively, Hoi An Roastery has three locations in the Old Town with comfortable seating, fast wifi and delicious coffee. It’s a great spot to take a break from the tourist rush and unwind for a while. On yer bike! 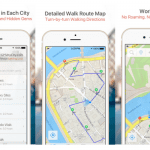 You can take a tour if you like – but these typically last half a day. Great if you’ve got longer, but we’re on a one-day whirlwind here! Maybe next time. Instead, rent a bike for an hour or two and explore the Old Town from the saddle. 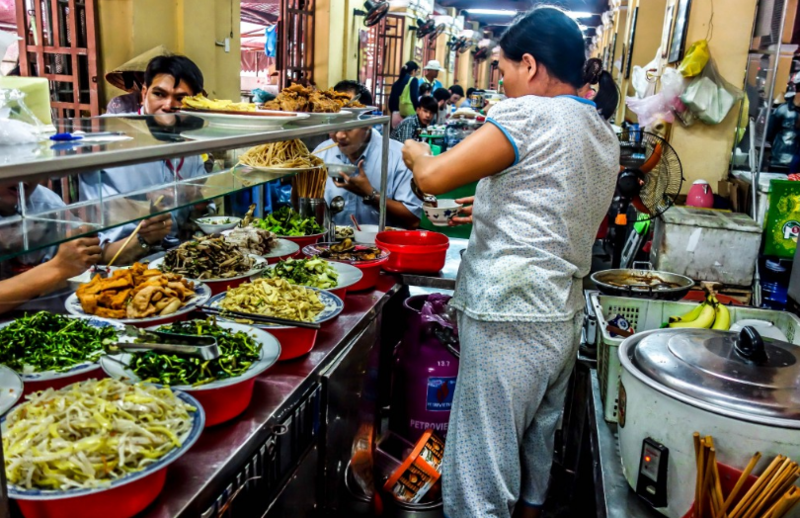 As you go, keep your peepers peeled for the street food for which Hoi An’s famous. You’re bound to have worked up an appetite and there’s nothing wrong with a cheeky snack before lunch, right?! Lunchtime! Again, you’ll be spoiled for choice. My advice is to join the locals at the Outdoor Food Court on An Hoi Island. Here, 10-15 different food vendors line up and rotate their stalls weekly to give everyone a fair chance to be first in line. Sweet. Take your time and indulge in Hoi An classics like Mi Quang, Cao Lao and White Rose Dumplings. 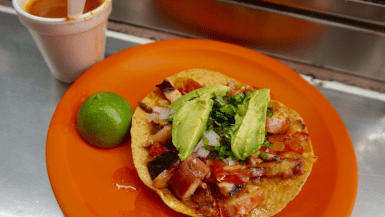 Everything’s delicious so you can’t go wrong! 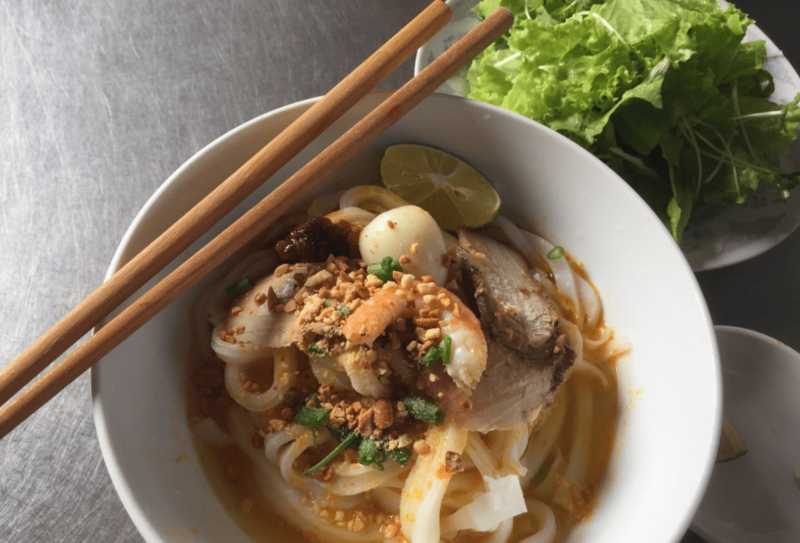 Alternatively, if you fancy treating yourself, head to one of my favourite Vietnamese spots – Bon Restaurant on Cua Dai. Mrs. Bon looks after each guest with a certain charm that makes you feel right at home. After welcoming you, she goes into the kitchen and prepares your meal fresh. Every dish I’ve had here has been incredible but some personal favourites are the Eggplant Claypot, Banh Xeo, Fried Wonton…and the the best Com Ga in town. Heart not racing enough yet?! Stop in for an afternoon coffee and a short break at the beautiful Rosie’s Cafe. Order a Cold Brew and one of their delicious, homemade vegan desserts. Plus, if you’re up for a chat, take some time to get to know the delightful owners, Thuy and Ha Mi. The story of Rosie’s and the journey of these two friends to bring their dreams to life is truly enchanting. Be a dedicated beach bum for a few hours at Hidden Beach. This local favourite is generally free from the tourist hustle and bustle of An Bang Beach but has all the beauty. Here you can enjoy great Vietnamese cuisine, ice cold beers and views of the Da Nang skyline and Cham Island. *Insider Tip: On your return to Hoi An, try a dive with the folks at Cham Island Dive Centre. It’s an amazing experience and a great way to spend a full day of your holiday. Depending on the night of the week, there’s always someone singing somewhere in Hoi An’s young, up-and-coming music scene. The key is knowing where to go to get the good vibes. Schedules change regularly so it’s best to double check – but our favourite spots are Soul Kitchen on the beach, O’Malley’s Irish Pub and Dublin Gate. It’s time to head back to Ancient Town, where you can amble down the extremely photogenic Lantern Lane and pick up some souvenirs at the Night Market. 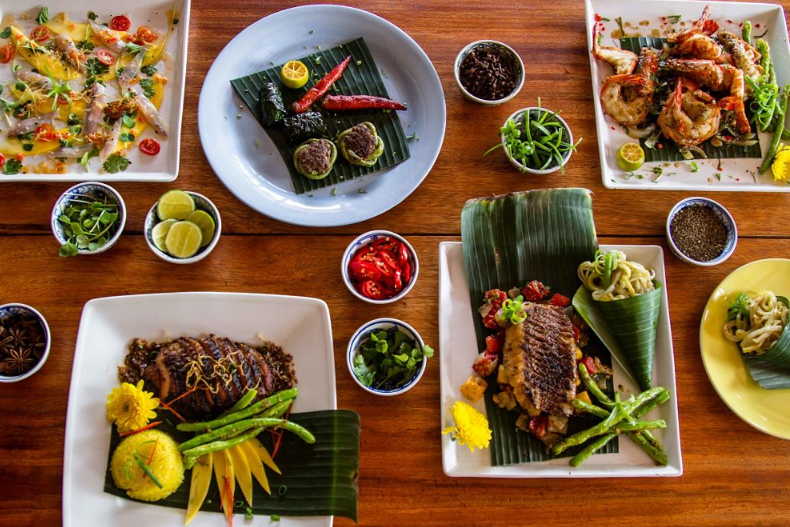 Enjoy a leisurely dinner at the recently opened Home Hoi An. This restaurant has quickly made a name for itself; its traditional Vietnamese menu served with modern flair. Excellent service, a great selection of beer, wine and cocktails and a truly delicious experience await you. Bon appetit! After dinner, step outside and release a candle onto the Thu Bon river, making sure you’ve come up with a good wish as you do so. Probably to come back to Hoi An, right?! This might be the best finish to your day but, if you still have a bit of life left in you, head to The Chef – the best rooftop bar in town – for a nightcap. Feeling more like dessert? Go for the Love Hoi An, a creamy mix of all the best liqueurs and…chocolate! Wrap up your night in Hoi An with a stopover at one of the newest ice cream spots in town, BLVD. With multiple locations in the Ancient Town, it’s easy to find and the ice cream is hard to forget. So, there you have it – your essential guide to the perfect day in Hoi An. Hope you enjoyed it…and that you come back soon! Do you have a place that you hold a special place for in your heart? If you only had 24 hours in this amazing place, what would you do? I’d love to hear what you have to say!! If you’re interested in doing a guest post on Lauren on Location and sharing what makes you love this place, be sure to contact me at lauren@laurenonlocation.com ? 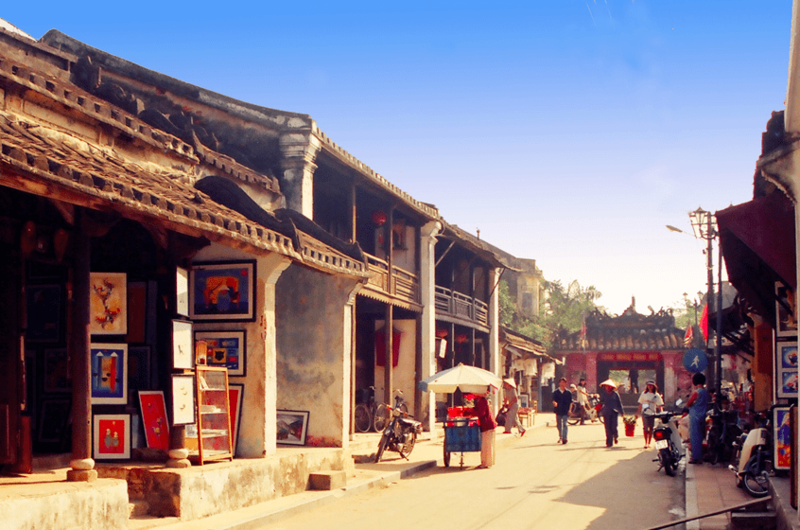 Would you like to visit Hoi An? What activities would you include in your perfect day? I’d love to hear from you in the comments below! 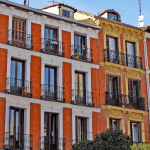 This week I’m highlighting An Expat’s Musings on Home by Jamie of Ink + Adventure. This beautifully written post really hit home for me. If you’ve ever lived abroad at some point, I think you’ll be abe to related to the feelings she expresses here. I used to be really afraid about finding the perfect place to call home, but throughout the years I’ve come to think of home as a feeling too! If you haven’t already, be sure to go check out her post and spread the love! Thanks for linking up with us Jamie! ? Yep – egg coffee and yoga on the beach look AMAZING! Haha I was a little surprised when I first saw this, like, how did Lauren get all the way to Viet Nam?! But then I saw it was a guest post. I like having guests posts as well when I’m traveling or super busy, and it’s nice to read another perspective! This looks amazing! I’ve always wanted to visit Vietnam. I loved Vietnam and am thinking of going again, so I’ve pinned this. I think that egg coffee just convinced me that I need to go to Vietnam! It looks delicious! Doesn’t it?! I neeeeed to try one of those! 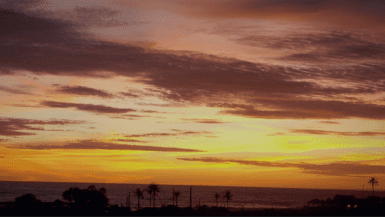 You had me at sunrise by the sea – so gorgeous! I recently discovered Vietnamese food and absolutely fell in love. There’s just something about Asian flavors! I really hope to get over to this part of the world one day! Congratulations on your new project going public! I’m not very familiar with Vietnamese cuisine, but the food looks so delicious! Thanks Carly! And I’ve only had Vietnamese a few times, but the flavors were incredible! These people really know how to use sauces and spices! Sounds like an absolutely packed day – but I wouldn’t want to miss a single bit of it! 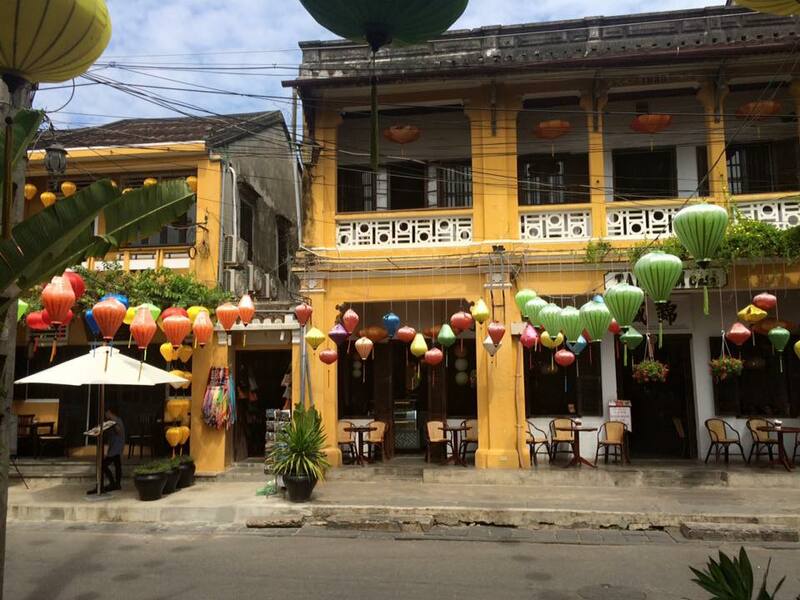 Hoi An looks amazing! 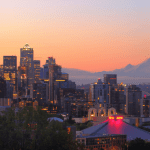 Food, coffee, beach, amazing city…sign me up!! Great post. Hi I’m new! I’m just returning to blogging after stopping for a decade to have kids. Yikes! Things have changed a bit! Hope others enjoy hearing about our recent trip to California for the first time. We are an east coast homeschooling family. We just returned from an 18 day trip out west for the first time to Cali and had a blast. I’m reliving it all now by sharing it on m new blog. Again, nice to meet you! I’ll pin your post so I remember to check back in. Right— My kind of itinerary for sure! I always thought Hoi An looked like such a charming town. But after seeing this post, I realized it’s the amazing FOOD that makes me want to go there the most! That coffee, mmmm! I love how much relaxing and coffee time you squeezed into a day, and still managed to absorb so much of the culture. I wish I had this when we went to Hoi An a couple years ago! I am missing that sweet Vietnamese coffee, I had multiple a day too. 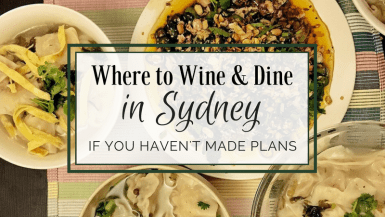 I could probably do a Brisbane post for you! That picture of the market is wonderful! I would definitely go to get tailored clothes. And yoga at sunset sounds very Eat Pray Love, fantastic! Lauren! This post idea is genius!! I love it! 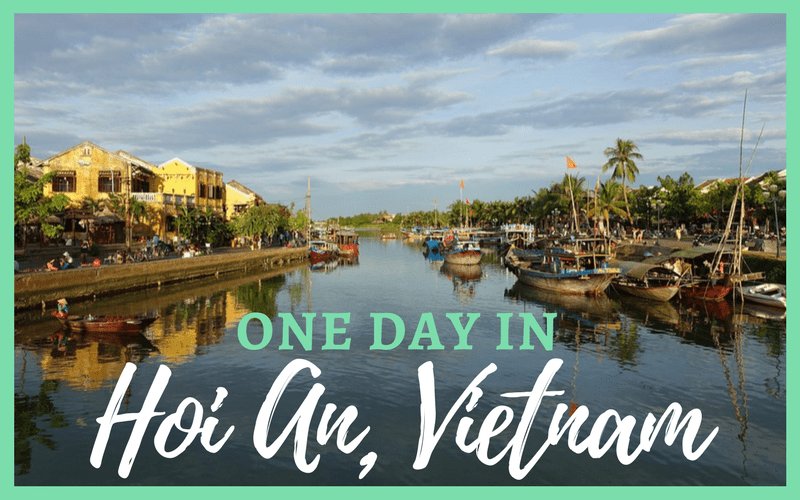 I don’t know when I’ll be in Vietnam for a day, lol, but I do love the day in the life type posts… so this is fantastic! Sunrise yoga on the beach? Sign me up! Hehe! Glad you like it! I know a lot of travelers are rushed or don’t have as much time in a place as they would like, so I’m trying to narrow down popular spots to the best of the best that you absolutely can’t miss when visiting 😀 .. Hopefully we’ll both have a day in Vietnam some time in the future! Awesome post! I love Hoi An, one of my favourite places in Vietnam for sure.